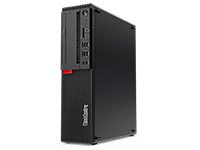 To learn more about Lenovo desktops and workstations, contact your Zones account manager or call 800.408.9663. 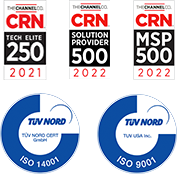 The Lenovo ThinkCentre M Series desktops are designed to deliver outstanding performance and manageability, displaying true innovation and significant advancements in compact PC technology. The latest generation of Intel Core processors supply these desktops with enhanced performance and security features. 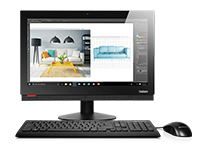 If you are looking for a PC with limited footprint and aesthetic design but don't want to compromise on desktop performance, ThinkCentre All-in-ones (AIO) are the best solution. 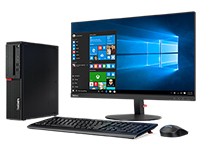 ThinkCentre All-in-one PCs help you do more with less and drive efficiency with their spacing-saving, clutter-free design, and the latest generation Intel Core processors and up to 23-inch display. Lenovo® ThinkStation® workstations combine the latest high-performance Intel® Xeon® processors, featuring unmatched performance with multicore processing efficiency with powerful graphics from NVIDIA®.